On September 28, 2014, the launch of Mangalyan, India’s first home-grown mission to Mars, was a spectacular success. No other Mars Mission had succeeded in its very first attempt. ISRO had developed all the technology required for the launch from scratch. It was undoubtedly a remarkable achievement for the team of scientists at ISRO led by R. ‘Dan’ Aravamudan. Aravamudan (in vest) and A.P.J. 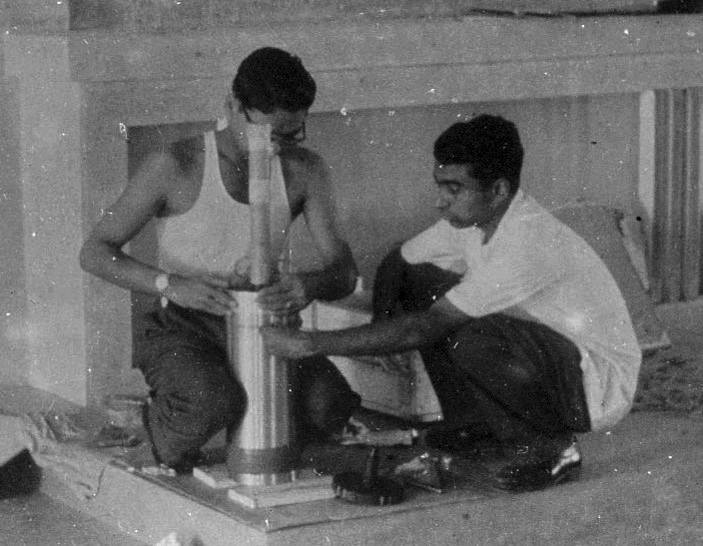 Abdul Kalam preparing a payload in Thumba ( 1964). Thirty five years earlier it was a different story. On August 10, 1979, the launch of SLV 3, the first home- grown launch vehicle of ISRO, went out of control and it splashed into the Bay of Bengal, about 5 minutes after take-off. “The very first attempt to launch a satellite launch vehicle (SLVs) by ISRO was a failure,” reported Abdul Kalam who was in charge of the project. He was disappointed but was not disheartened. He called it a “partial success”. Abdul Kalam and Aravamudan, were colleagues right from the inception of the small Thumba Equatorial Rocket Launching Station (TERLS), established by the visionary Vikram Sarabhai in the mid-1960s at Thumba, near Trivandrum in Kerala. TERLS is where the story of India’s space odyssey begins. 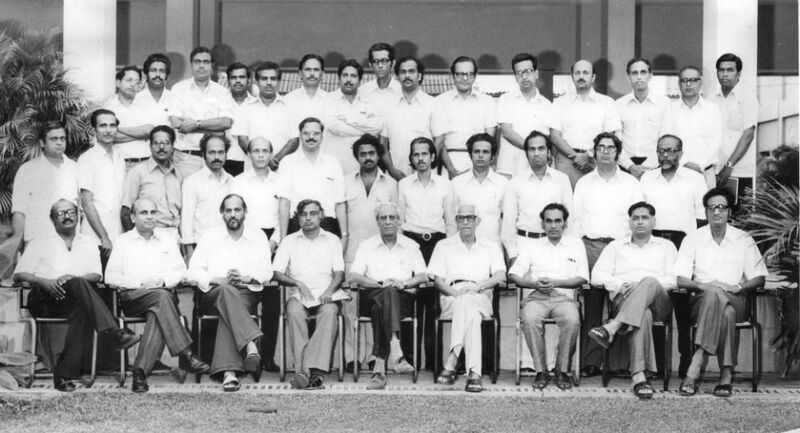 In the book, ISRO – A Personal History, Aravamudan narrates a gripping story of the people who built ISRO and how they did it, from the rocket pioneers who laid the foundation to the savvy young engineers who keep Indian spaceships flying today. It is the tale of an organisation that defied international bans and embargos, worked with laughably meagre resources, evolved its own technology and grew into a major space power. “Today, ISRO creates, builds and launches gigantic rockets which carry the complex spacecraft that form the neural network not just of our own country but of other countries too.” This is a made-in-India story like no other told by a man who had a ringside view of the happenings at India’s space programme from its first year to this day. 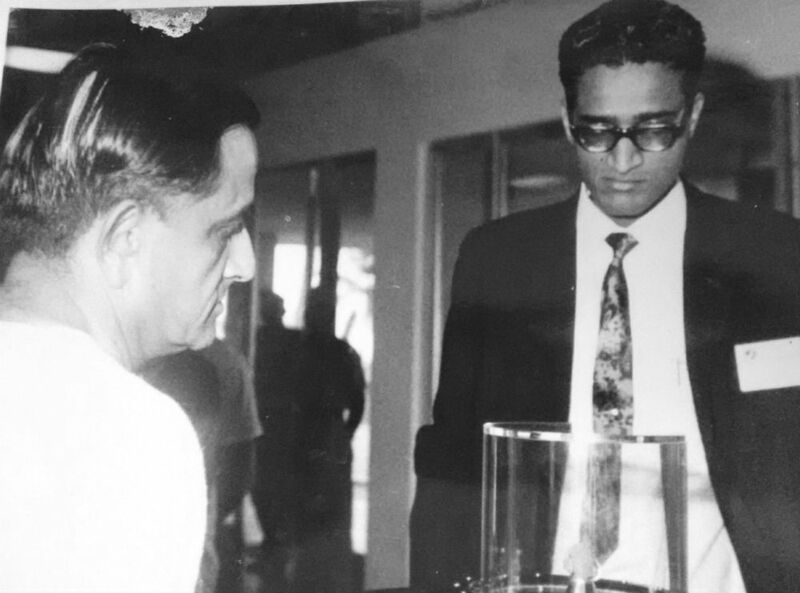 After graduating with a first rank from the Madras Institute of Technology, Ranganathan Aravamudhan was directly recruited by the Department of Atomic Energy, where he spent two years, before quitting a secure job to join Dr. Vikram Sarabhai, in his visionary project to take India into space. 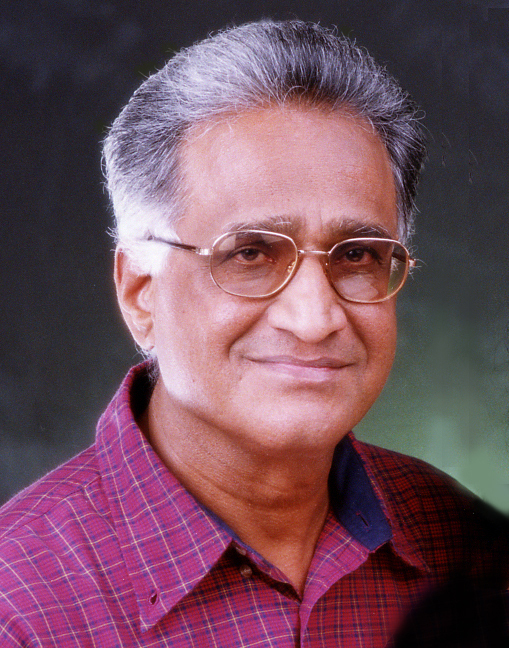 He is an award-winning senior scientist who had served as the Director of the Satish Dhawan Space Centre at Sriharikota and of the ISO Satellite Centre, Bangalore. Several anecdotes that the author recalls, the human side of the growth story, makes the book endearing. While in the USA attending a training programme in 1963, the entire group of young Indian trainees, including Dan and Abdul Kalam who were all vegetarians, got into strange situations because of their staunch vegetarianism. One day, when they were desperately looking for a friendly café which would satisfy their palate, they stumbled upon one run by an old lady. While she did not understand their request, she allowed them use of her kitchen to cook whatever they wanted with the ingredients available with her. The group walked into her little kitchen and started piling everything vegetarian that they could find into a baking dish. Soon they had rice, vegetables, baked beans, onions, garlic and a few green peppers all mixed up with a generous helping of cheese on top and popped the dish into the oven. “The hotpotch dish turned out to be Manna to our deadened taste buds,” says Dan. The old lady called it the ‘Thing’. The dish became a local hit and the old lady started serving the ‘Indian Thing’ to her other customers also! Doppler Velocity and Positioning System (DOVAP), a large, container-like long trailer built by NASA, came to India as a part of the initial collaborative agreement with NASA, in 1964. Transporting the equipment from Madras harbour by road to Trivandrum, a distance of 800 km, posed a big challenge at a time when container trailers were a rarity in India and there were no good roads to transport such big equipment. Since Dan was from Madras and familiar with the equipment he was sent to Madras to get the job done. With help from his father, he found a contractor who agreed to take on the assignment. The pioneers who developed the first launch vehicle. By the mid-1960s, space scientists from all over the world started coming to conduct experiments with sounding rockets at Thumba. Those were simple times when there was an extraordinary amount of goodwill amongst the international community of scientists. Russia (or the USSR as it was known then) contributed a military helicopter for range safety and a computer called Minsk, the only computer TERL had those days. Dan who was a fairly good photographer with a Yashica camera was given the responsibility to fly over the range in the helicopter and take some pictures which were to be pieced together to form a survey map of the TERLS area. Abdul Kalam, Dan’s lodge mate, who also had a good camera accompanied Dan on the chopper. Though it was an exciting ride, the photos that they took proved to be totally useless in the absence of zoom lenses. The team had to wait for several more years before they could get their range properly mapped. Sarabhai and Aravamudan looking at a piece of moon rock. In 1969, the Americans landed on the Moon at a time when TERL team was still launching sounding rockets. Little did they know then, that one day they themselves would launch spacecraft to the Moon and to Mars and beyond; then they heard that a piece of moon rock was coming to Thumba in a glass case. It was the size of a walnut. It was put up in the foyer of SSTC on top of Veli Hills. A programme was planned for a formal inauguration of the exhibition. While the team thought that the event would be of interest to only employees of TERL, a large local crowd turned up for the event stirred by the mention of moon rock in local newspapers. It became a law-and-order problem. Local police and civil authorities had to be called in to help control the crowd. There was an unforgettable moment at the first ever launch she witnessed in Thumba. Dan had dropped Gita off at control centre where the wives of two other colleagues were also present. There were some people watching from the beach as well. Dan was in the tracking station. However, due to some problem the rocket didn’t take off. Dan rushed from his tracking station to the launch pad and became immersed in trying to figure out what had gone wrong. Meanwhile, Gita soon found herself all alone on the terrace of the control centre as the other husbands had collected their wives. As the security person was waiting for her to leave the centre so that he could lock the door, she went out on to the beautiful beach and realised that she was in a totally deserted place not knowing where to go. Just then a jeep drove by and Kalam hopped out. “What are you doing here all alone?” he asked. When he heard her story he burst out laughing “Trust my buddy to forget he got married. He must have buried his head in the rocket. Come, let us go find him.” They did find him with his hand, and not his head, inside the rocket fixing the problem!